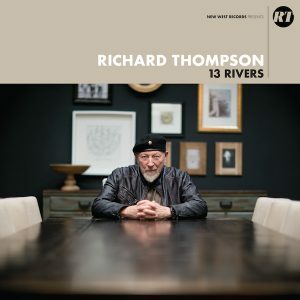 Richard Thompson is set to return with 13 Rivers on September 14, 2018. A return to New West Records, the 13-song set is the Grammy nominated artist’s first self-produced album in over a decade and was recorded 100% analog in just ten days. It was engineered by Clay Blair (The War On Drugs) and features Thompson’s regular accompanists Michael Jerome (drums, percussion), Taras Prodaniuk (bass), and Bobby Eichorn (guitar). 13 Rivers was recorded at the famed Boulevard Recording Studio in Los Angeles. Previously known as The Production Workshop, which was owned by Liberace and his manager, the locale served as the site for seminal classics by Steely Dan, Fleetwood Mac, Ringo Starr, and hosted the mixing sessions for Pink Floyd’s legendary The Wall. 13 Rivers will be available across digital platforms, compact disc, vinyl, as well as limited edition split cream & black colored vinyl available at Independent Retailers. Richard Thompson’s 13 Rivers is available for pre-order now via New West Records. 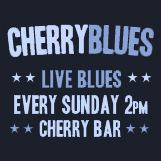 Previous ArticleOut On The Weekend Announces First Act!